Dela Landscaping Supplies, just off Latrobe St, on the corner of Wallis St and Laidlaw Drive is the premier provider of landscaping supplies in Ballarat. Buy in bulk for large scale commercial landscaping projects or smaller loads for your own gardening. Sand, soil and gravel are just some of the products we keep on hand, come down and take a look in Ballarat. Not sure what you want to do with your landscaping project? Come and take a look at the options to inspire you. We stock a wide range of sands, including sandpit sand, paving sand, bricky sand and playground sand. If you need sand in Ballarat call us now on the number above or drop into our landscape supplies yard. Dela Landscaping Supplies also stocks packing gravel and concrete gravel in a huge range of colours, sizes and textures for your landscaping project. Call us now to organise your next delivery of Ballarat gravel. Need rocks, quartz or pebbles for your landscaping project? We stock a large variety of rocks, crushed rock, quartz, scoria, landscaping rocks and boulders, decorative stones, pebbles, stones, water rocks and garden rocks in many grades, textures and tones. Call us for Ballarat rocks, quartz and more, ideal for native or low maintenance gardens and available in bulk amounts or small bundles. We have sleepers, garden mixes, top soil, barks, cement, lime, astro turf and plenty more. 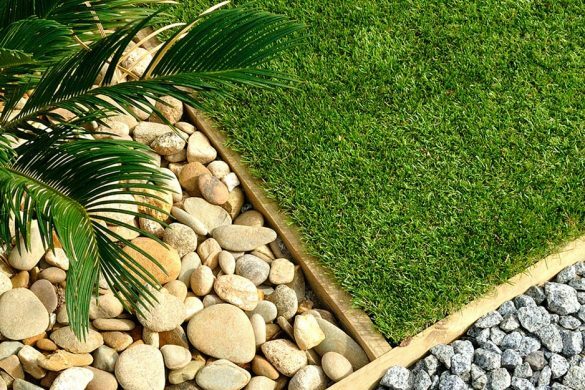 Whatever your landscaping needs – we have it at Dela Landscaping Supplies, Ballarat’s premium landscape supply business. We also stock Perma-Fert for retail and wholesale customers. While we are located in Ballarat, Dela Landscaping Supplies will deliver landscape supplies to a wide area in Western Victoria, including Beaufort, Lexton, Ballan, Rokewood, Newlyn, Dean, Newstead, Creswick, Daylesford, Scarsdale, Skipton, Gordon and more. Your Victorian town not mentioned? Call us anyway and see if we can deliver to your region.